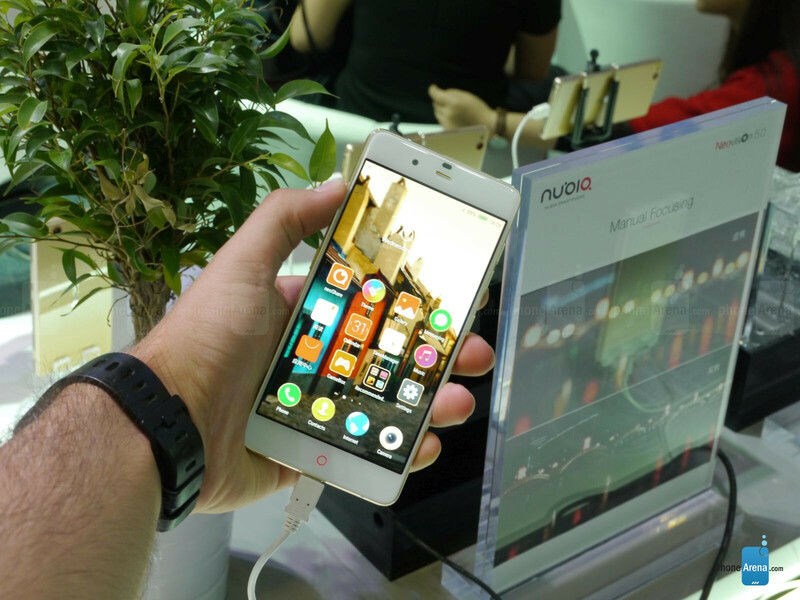 The ZTE Nubia My Prague is one of the thinnest and most elegant phones you can buy right now: a mid-range phone with a Snapdragon 615 system chip, it was initially released as an exclusive for the Czech Republic with the possibility to expand to further markets in the future. Well, we were curious to check it all out as it is such a good looking phone for a fairly affordable price, and right below you can learn more about our first hands-on impressions with it. Well, doesn't that look similar to something we've already seen? 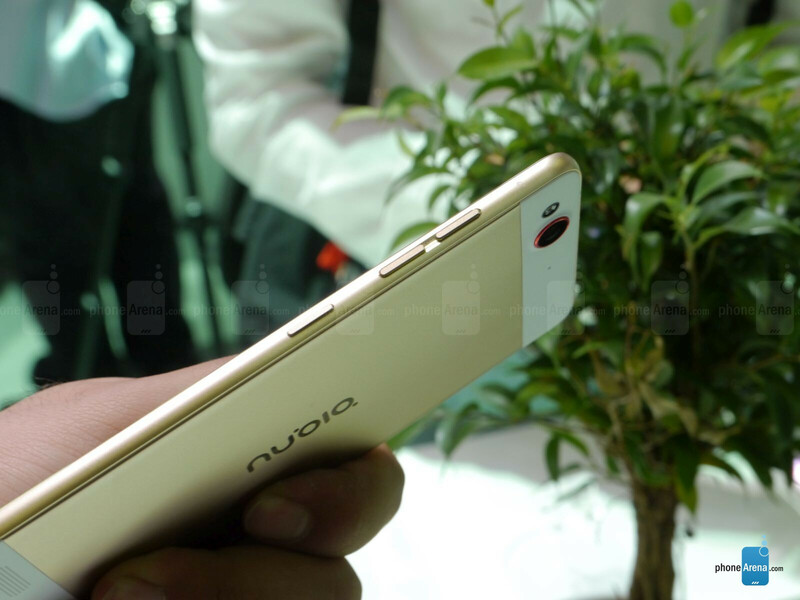 With its gold coating, metal build, super slim profile and familiar curved sides, the ZTE Nubia My Prague looks great in a very iPhone-y fashion. And yes - even the camera protrudes slightly. If you don't care about such obvious borrowing, though, that's more of a good thing - the phone is definitely sleek and looks very, very stylish. The exact dimensions are 147.8 x 72.1 x 5.5 mm, which is obviously one of the thinnest on the market right now. 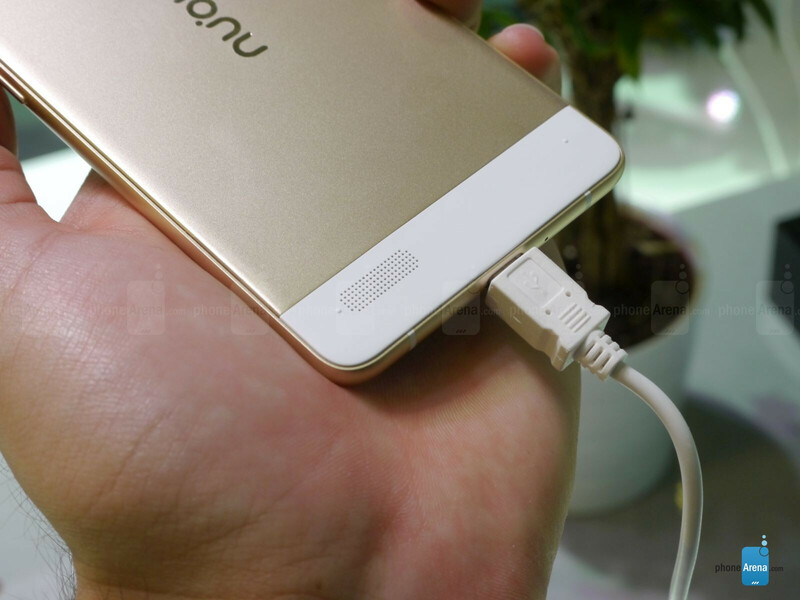 The buttons on the side feel clicky and very responsive, while up front, right below the display is the signature ZTE capacitive key that acts as a home button. The front is dominated by a 5.2-inch Super AMOLED display with a resolution of 1080 x 1920 pixels, and while we were not able to run any in-depth tests the display did look fine at first look, with vivid colors that pop out at you. 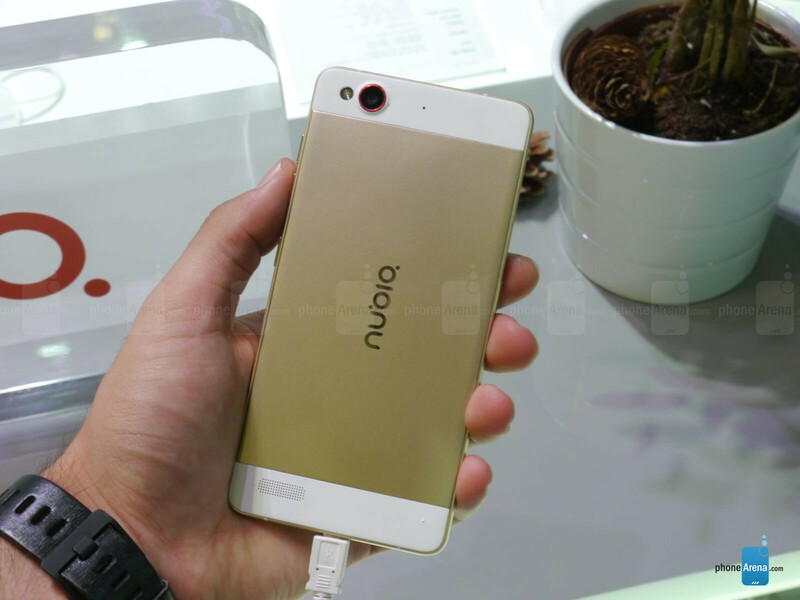 Under the hood, the ZTE Nubia My Prague runs on the octa-core Snapdragon 615 processor, which utilizes two clusters of four Cortex A53 cores - the first cluster is set at higher clock speeds for performance needs, while the second is there to provide power without wasting too much energy. 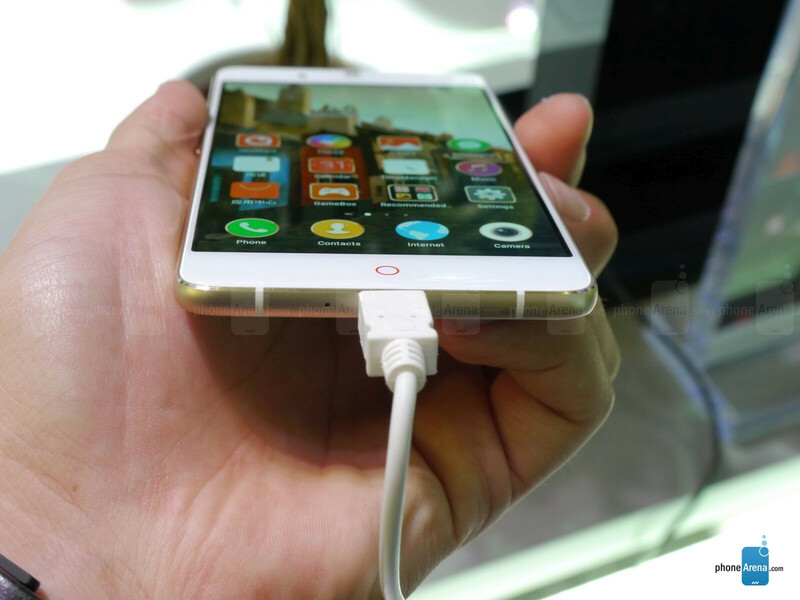 The ZTE Nubia My Prague is offered in two versions: one with 2GB of RAM and 16GB of internal memory (with a price of around $385), and one with 3GB of RAM and 32GB of internal storage (this one is more expensive at around $475). We had no issues with performance and we did get to play around with ZTE's custom Android skin that has a very typical Chinese visual flavor, but seems to function in a smooth fashion. 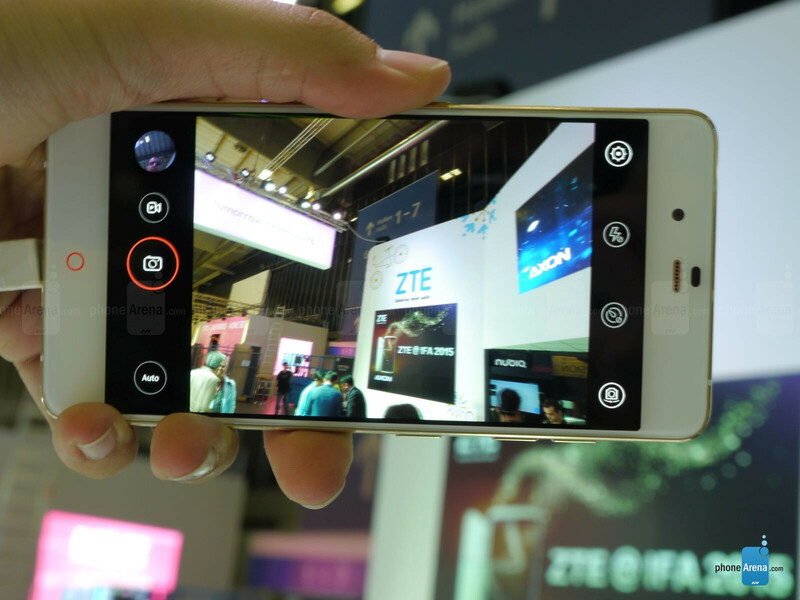 Turning over to its photography capabilities, the ZTE Nubia My Prague is equipped with a 13 MP rear camera and an 8 MP front-facing selfie shooter. We got to quickly play around with the camera app which has a separate video and photo recording button and all the usual buttons, and using it seemed fast and straightforward. Video recording maxes out at 1080p at 30 frames per second, so there is no 4K video recording capability here. Overall, the ZTE Nubia My Prague is definitely a very appealing phone with some great looks (that you may argue are borrowed from certain other companies), but it's also a fairly snappy phone in daily use and we've had no issues in our quick time spent with it. Who is it for? Well, first of all - it's for people in the Czech Republic where the phone is available, but it does indeed look appealing to other markets with its stylish, fashionista look and if you don't gun for the most powerful specs or longest battery life, but instead want a phone that looks good and performs good for daily tasks, this seems like a great option. Obvious copy of EVERY phone ever! It looks like a phone!